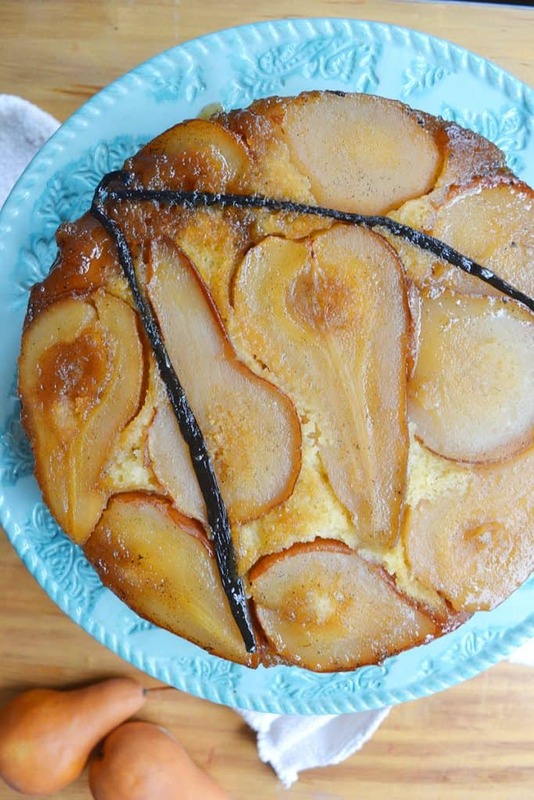 A buttery, sweet, vanilla Swedish cake topped with caramelized pears and vanilla bean. This cake. Oh my goodness! This homemade cake recipe is all the good things of Swedish baking, butter, spice, fruit, and not too sweet. Swedish baking lends itself to the savory side more than the sweet side. And this cake does that perfectly. This Swedish Almond and Pear Cake recipe is made in much the same way you make an upside down pineapple cake. But better. Oh, so much better. 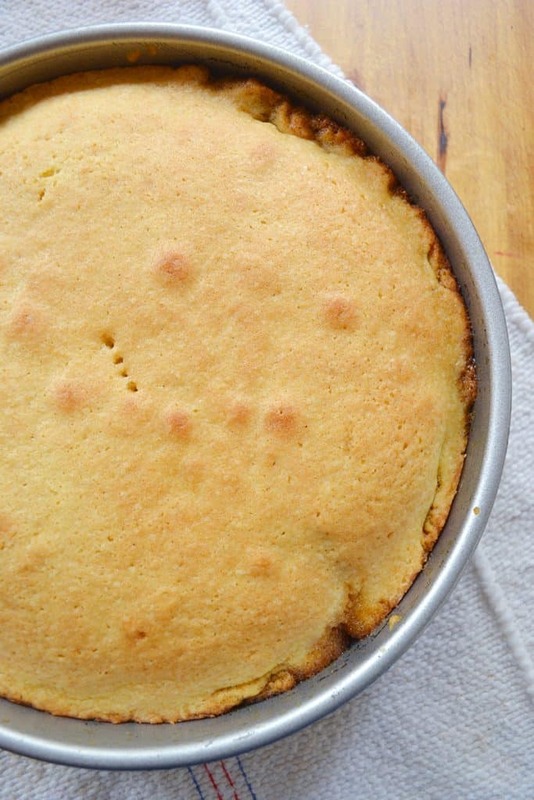 I use Bosch pears for this cake because I like the texture and firmness they have when they are baked and they have just the right note of sweetness. Any pears will do just fine, though. Use your favorite. 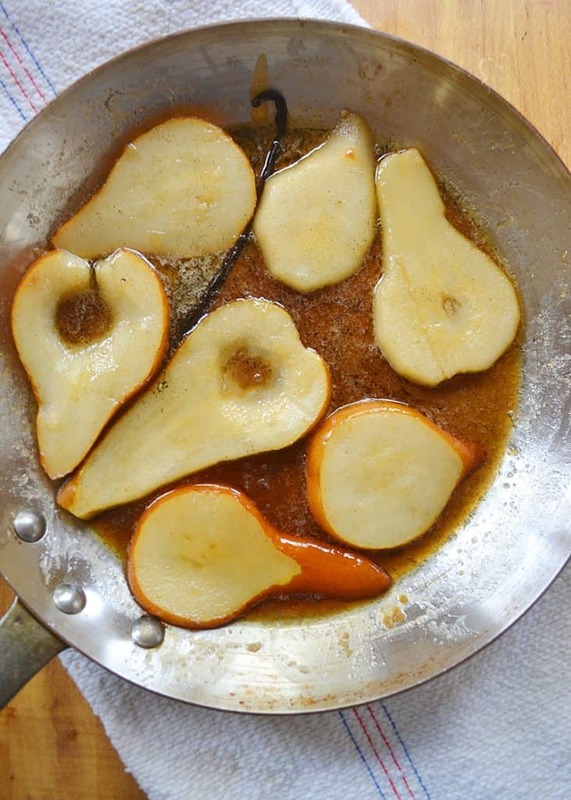 Truly, make an extra batch of the caramelized pears to snack on. If you don’t, you’ll end up eating all of the ones you need for your cake. The pears. are. so. good! This is the cake that makes my house smell like Christmas. And I just can’t get enough of it. The batter is a simple eggs, milk, and flour sort of batter. It isn’t sweet. Nor is it fluffy. Like most Swedish baking… it’s a bit dense and lacking in sweetness. That is because it is meant to be paired with the amazing sweet, carmelized pears! Spread that batter on the top of your pears. It’s good and thick and reminds me of shortbread cookies in the look and taste. 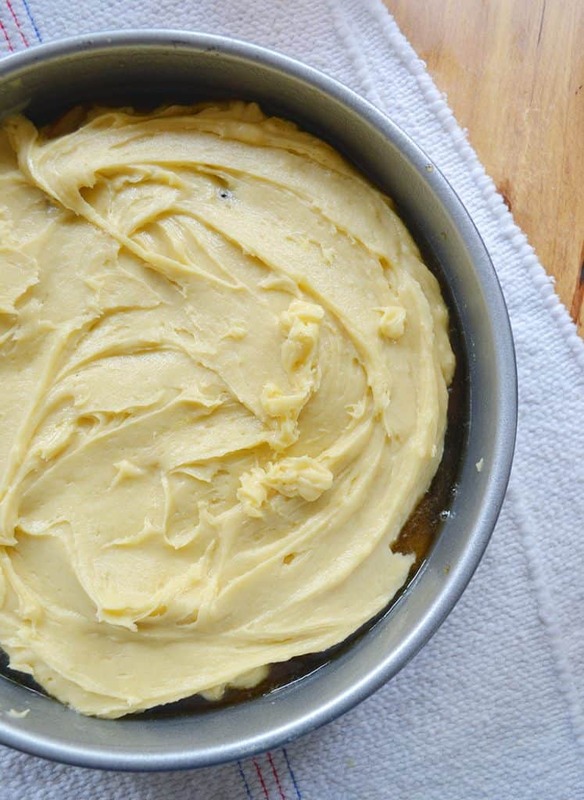 Serve this cake with sweet cream, whipped cream, or ice cream for the perfect dessert. No really, this is one of the best Swedish dessert recipes I make. On some days, it beats out my chocolate cake. And that is saying something! On medium heat, in a large skillet, melt the 2 tablespoons of butter. Add the pear slices, brown sugar, and vanilla bean. Stir until the sugar is dissolved. Lower the heat to low. 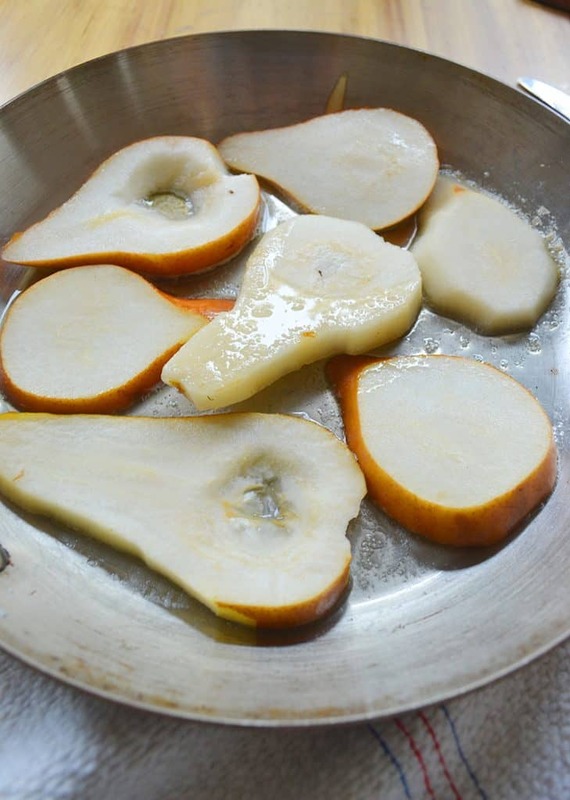 Cook the pears for about 5 minutes or until just soft. Stir often. When the pears are just soft, put the vanilla in the cake pan, followed by the pear slices, and then the sauce. 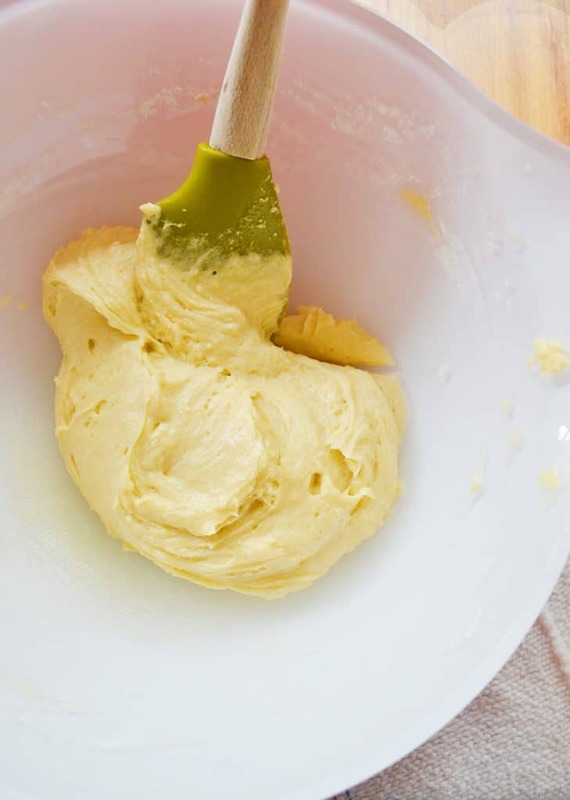 Beat the 4 ounces of butter and sugar together. Add the eggs 1 at a time beating well after each addition. Add 2 tablespoons of milk and mix. 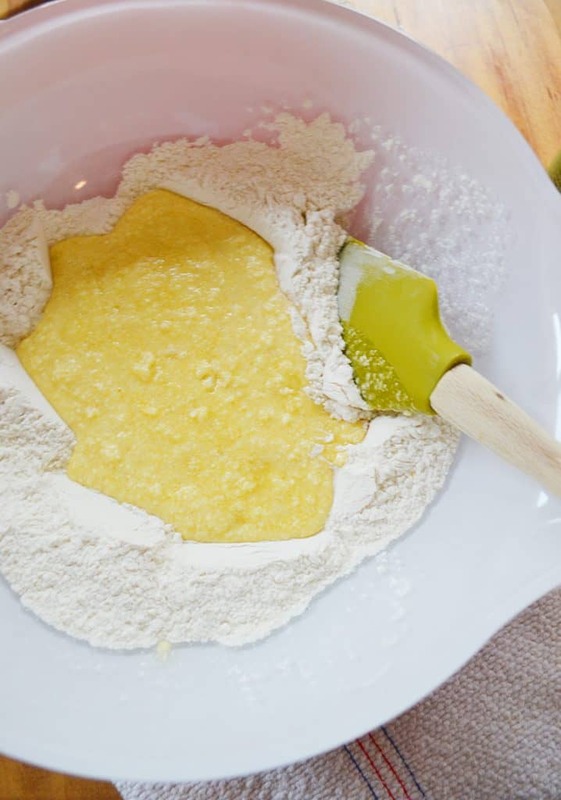 In a separate large bowl mix the flour and baking powder together. Fold in the egg mixture and add the almond extract. Pour the batter over the pears and bake at 400 degrees for 30-35 minutes or until a knife stuck into the center comes out clean. Cool for about 10 minutes and flip upside down on to serving platter. Serve with whipped cream and ice cream. This sounds simple and delicious. What size cake pan do you use. 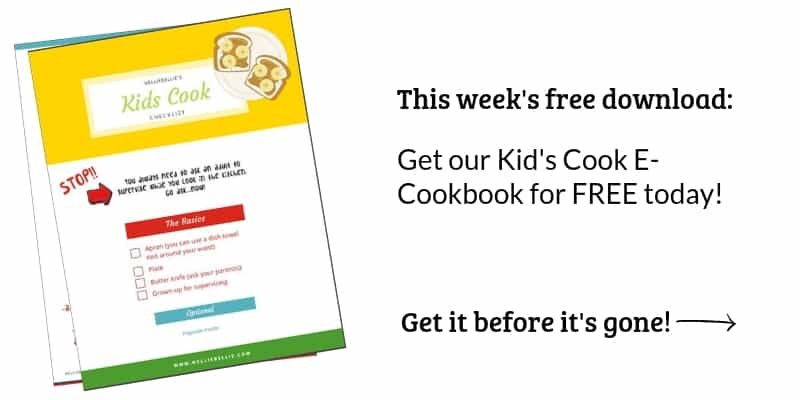 It doesn’t say in the recipe. Oh my, I’m sorry. This is a 9-inch round pan, I believe. This reminds me of the Italian plum cake I made for our daughter’s birthday. 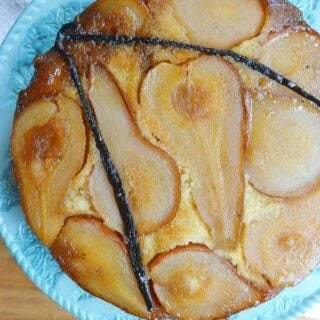 I love pears too and the cake sounds AH-MAH-ZING!! How’s the house coming along?? Have a great week! It is very, very similar to the plum cakes. They aren’t in season here ;). It’s coming. Slowly. Very slowly.